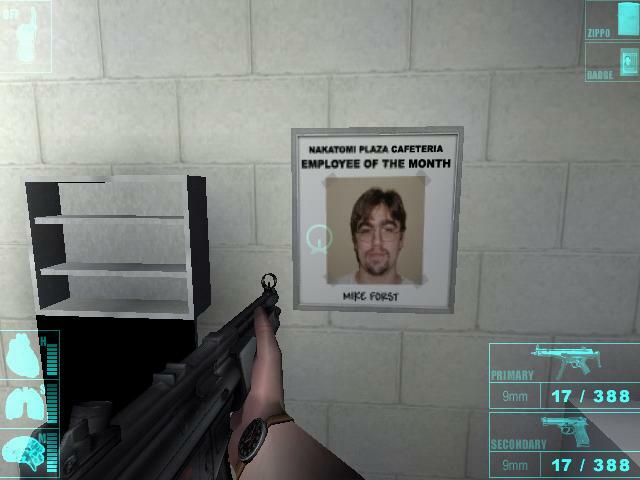 In level 15: The Architect, before entering his office, you also hear the architect refer to himself as "Mike from Forst Architecture", another reference to level designer Mike Forst. There are multiple references to the development team in the game. The most obvious one is of level designer Mike Forst in the kitchen of level 9: Playin' the Hero.